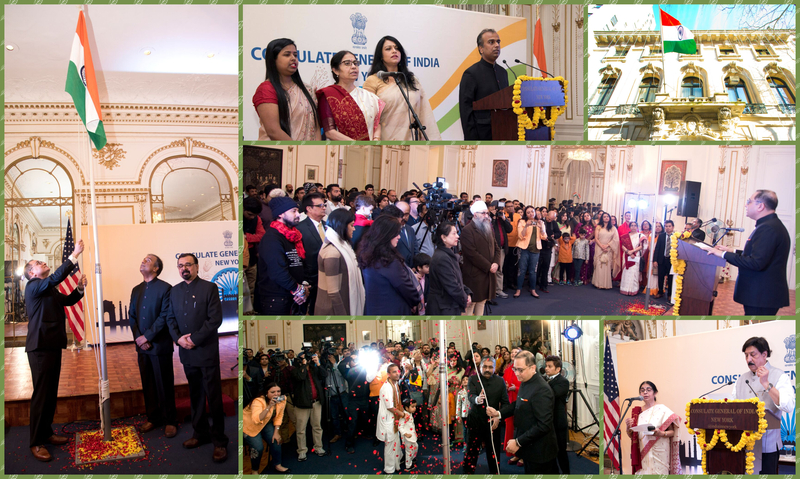 The Consulate General of India celebrated the 70th Republic Day of India on Saturday, January 26, 2019 in the Consulate premises with full fervor and enthusiasm. An open invitation was issued via local media, social media platforms and through the Consulate's website inviting all NRIs/PIOs and friends of India to attend the event. Despite sub zero temperatures, a large number of members of Indian diaspora and friends of India numbering 250 attended the event. 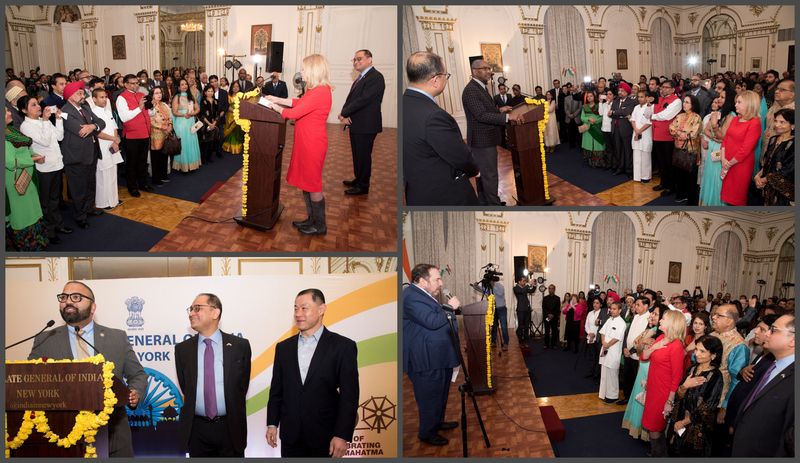 As is customary, a Flag Hoisting Ceremony was held in the morning in the Consulate Ball Room. Mr. Sandeep Chakravorty, Consul General, unfurled the national flag and the national anthem was sung. Patriotic songs and poems were sung by artists of Bhartiya Vidya Bhavan. Consul General conveyed his greetings to the gathering and read out the address of the President of India. Refreshments were served to all guests. Thailand, Guyana. Noted actor Mr. Anupam Kher, community leaders and media representatives also attended the reception. More than 300 guests were present for the reception. The evening began with singing of Indian and U.S. national anthem by prominent Jewish singer Mr. Issac Blech followed by lighting of the lamp by the dignitaries. Consul General Chakravorty welcomed the guests and thanked everyone for their participation. 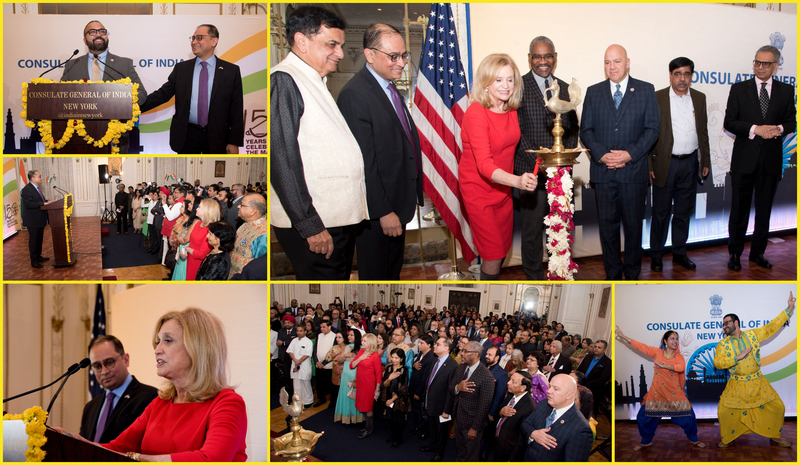 Remarks were delivered by Congresswoman Carolyn Maloney, Congressman Gregory Meeks and Senator Kevin Thomas conveying their greetings and well wishes on the 70th Republic Day of India. This was followed by a dance performance by NYC Bhangra group and an individual dance performance by a child artist Ms. Angle Shah on a patriotic song. Guests were then invited for an authentic Indian dinner and the opportunity to interact with all those present.